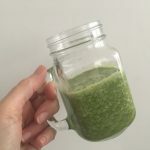 I created this immune boosting smoothie because I much prefer to prevent illnesses than have to deal with being sick and everything it entails. Especially during cold and flu season. Just the thought of cold & flu tablets and antibiotics makes me cringe. Antibiotics really mess with our health by killing off a lot of our good gut bacteria. And a lot of cold and flu medicines are pretty much just glorified sweets. 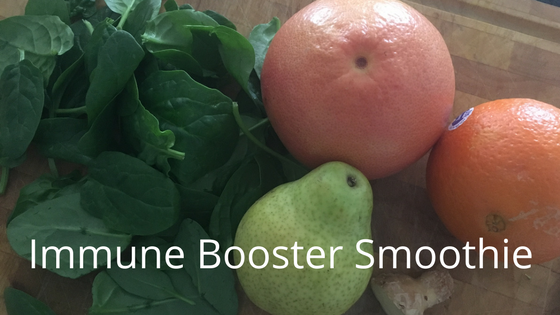 Drinking this immune boosting smoothie 2 or 3 times a week will help you keep those Winter bugs at bay. Eating a diet full of fresh fruit & vegetables, whole grains and healthy fats will help keep your defences up too. Check out my list of immune boosting foods in this post about NATURAL COLD & FLU REMEDIES and give this smoothie a try. I also drink lots of green tea, and Rooibos tea. Read about all of the benefits of drinking Rooibos here: WHY SHOULD YOU BE DRINKING ROOIBOS TEA? 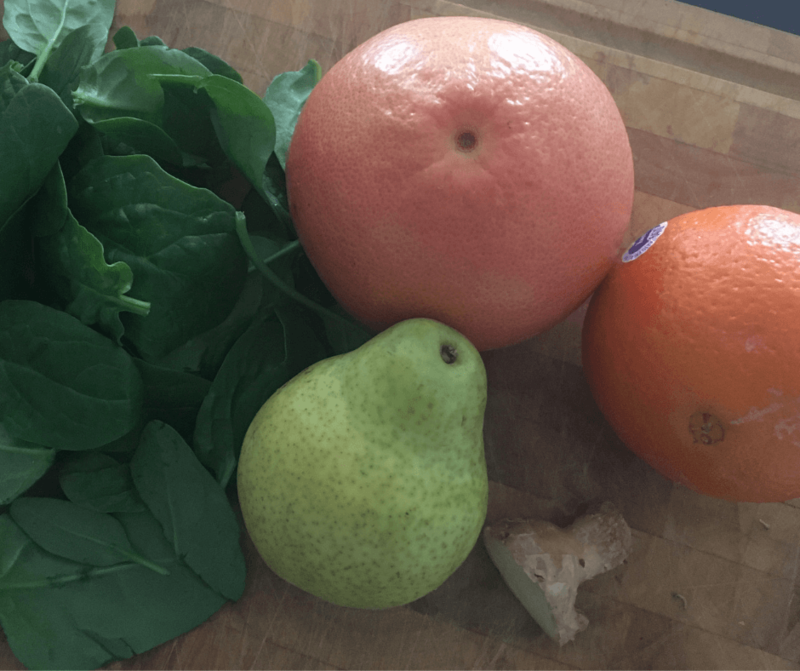 This smoothie is made with just five ingredients: spinach, orange, grapefruit, pear and ginger. Remove the peel from the orange and grapefruit, roughly chop the fruit and veggies, and blend until smooth. Use any variety of pear or grapefruit – I usually use a William pear and a ruby grapefruit. If you prefer a sweeter tasting smoothie, add another orange, or just use half the grapefruit. This recipe makes 2 serves, and you can keep it overnight, in a sealed container in the fridge. If you’d like to try more green smoothies or shakes, I’ve listed my TOP 5 SMOOTHIES & SHAKES here in this post. GET SPECIALISED OVER 50'S HEALTHY RECIPES, TIPS & INFO DELIVERED DIRECTLY TO YOUR INBOX. 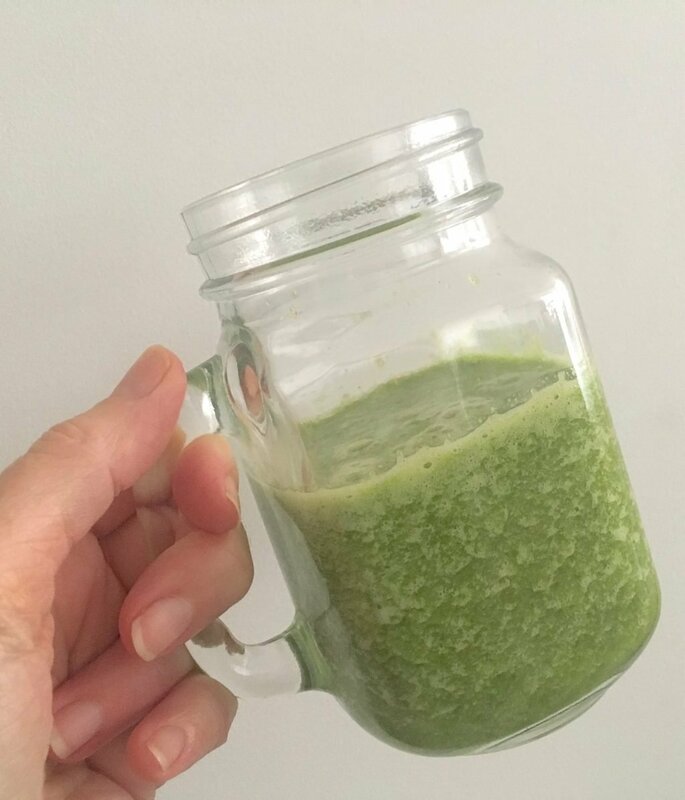 Try this simple green smoothie to give your immune system a boost during cold and flu season. Blend the spinach with the water. Roughly chop the ginger and all the fruit. Add to the spinach mixture and blend until smooth. Divide the smoothie evenly between 2 glasses and enjoy! Start with ¼ cup of water and add more if your finished smoothie is too thick. Use any variety of pear or grapefruit that you like – I used a William pear and a ruby grapefruit. If you prefer a sweeter taste, add another orange, or just use half the grapefruit. This smoothie will keep overnight if refrigerated in a sealed container.